Before we know it, it will be the holiday season, and Disney Doorables are going to be high on all Disney-lovers’ lists. These are absolutely adorable! You know how popular Shopkins are right? 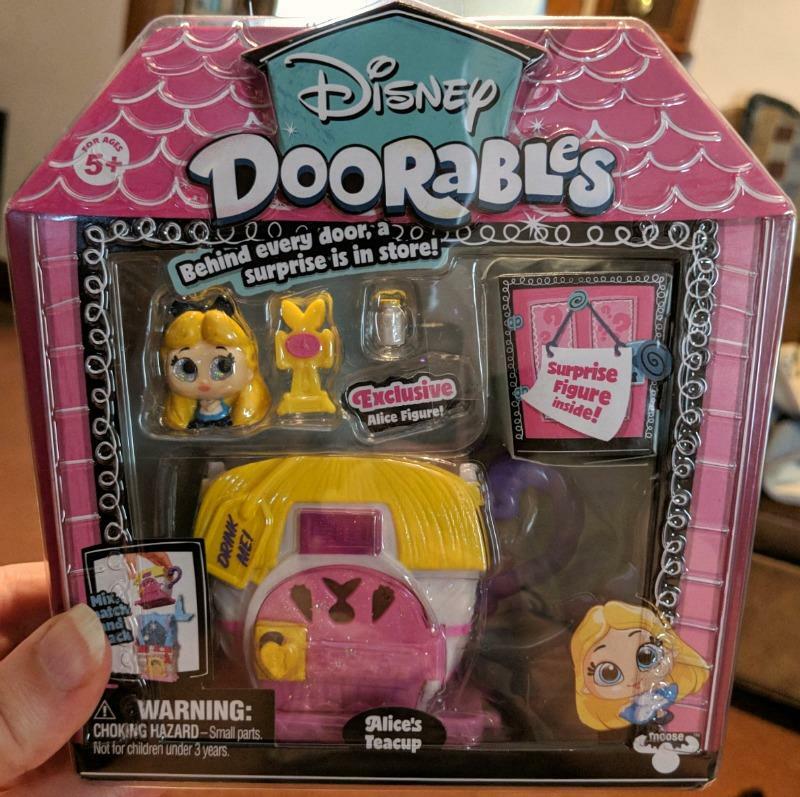 The same company makes Disney Doorables! 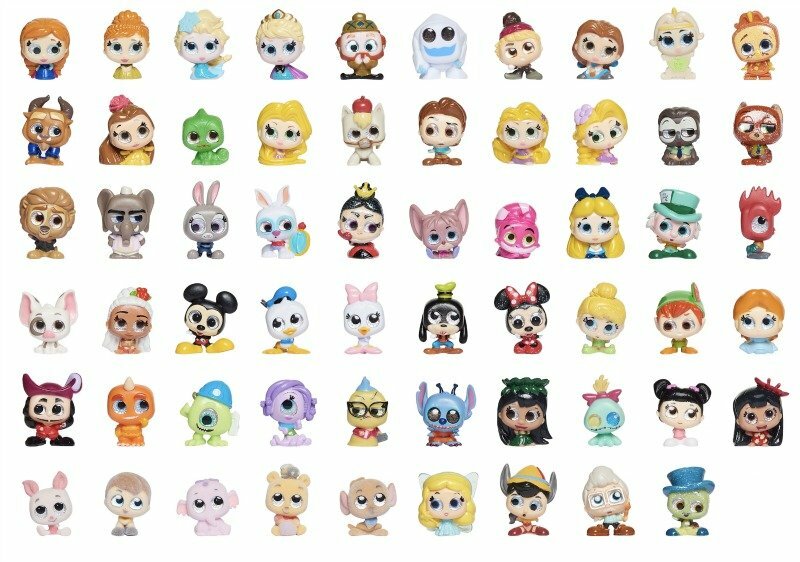 This is the first wave of Disney Doorables, and given their popularity, I’m sure more will be rolling out soon. 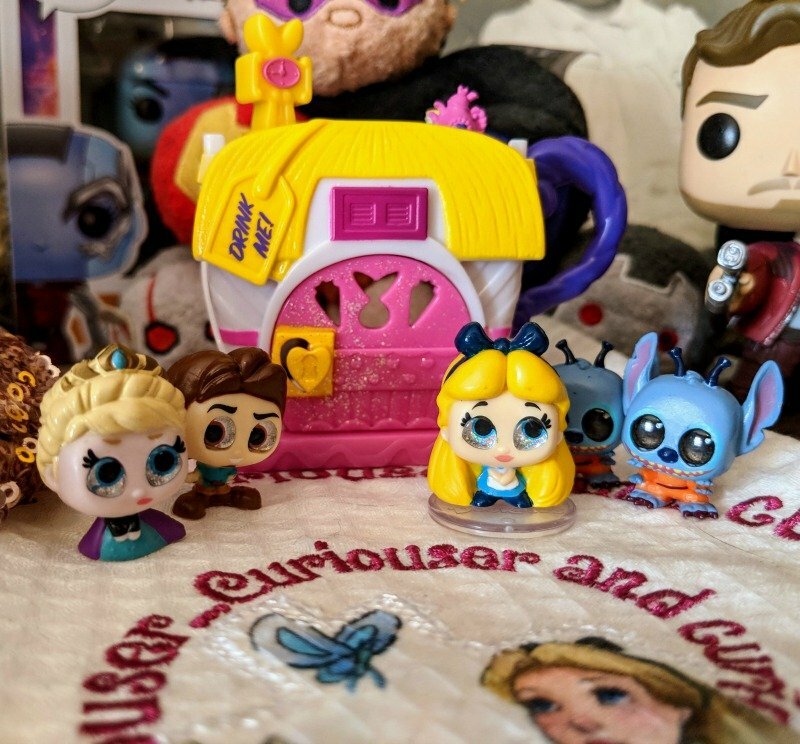 Thanks to Disney, I received Disney Doorables Mini Stack Playset – Alice in Wonderland and three blind packs. As with any “blind” packs, you never know what you’re going to get. You do know what you’ll get when you purchase a playset, but you also get a surprise. My surprise in the playset was Elsa! The blind packs contained Flynn Rider and Stitch x2. Don’t let the lack of “stars” on Amazon throw you off. There haven’t been many reviews added, and it seems the complaints are that people have gotten the wrong orders. These really are so cute. 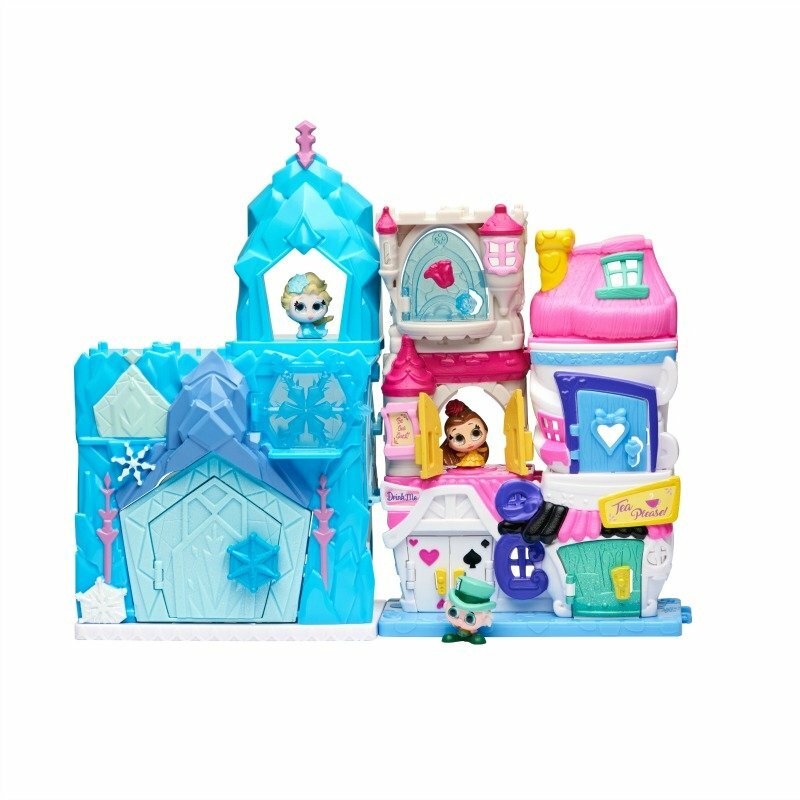 I love how you can purchase different sets to build one big playhouse. I definitely recommend them! The sets are meant to mix and match, so your kids can build them however they want. The blind packs would make great stocking stuffers, and if they get multiples like I did, they can trade them with their friends or give them to a special friend. I chose to review Alice’s teacup because I love Alice in Wonderland…not just the Disney movie but all things Alice. Speaking of which, I was recently sent this book that your Alice in Wonderland lovers need! It is aimed at ages 4-8, but I think anyone who is fascinated by Alice will love it. 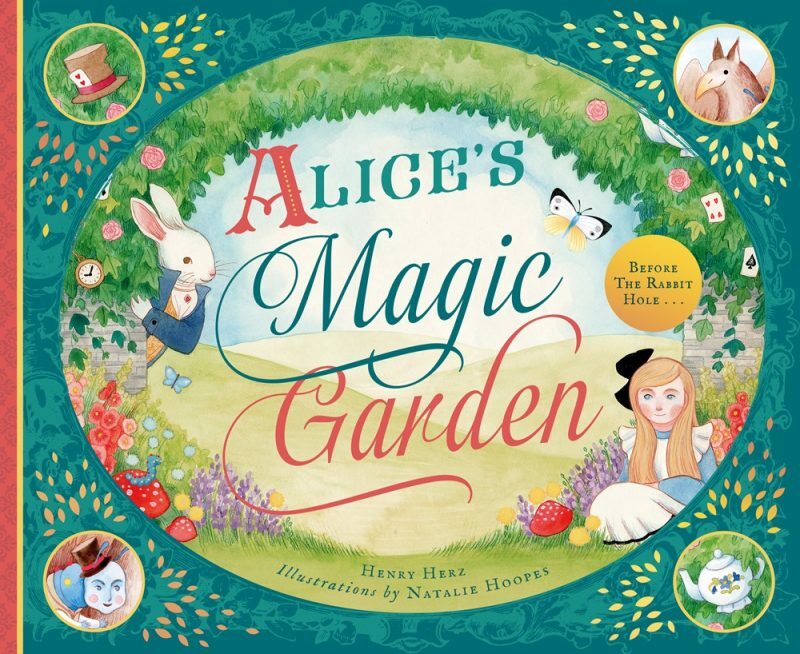 Alice’s Magic Garden is a prequel written by author Henry Herz who writes fantasy and science fiction for children. Alice’s world was not always the enchanting one that Lewis Carroll depicted. 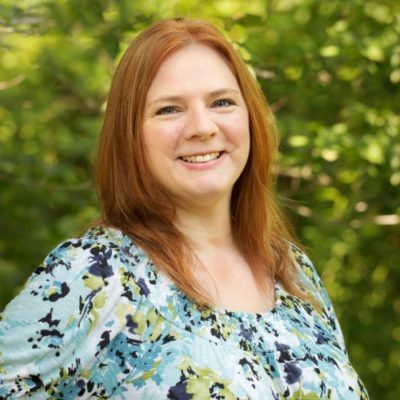 So how did she find her way to such a colorful journey?The wonder of the classic story finds its roots in this prequel. Surrounded by mournful clocks and beastly students at a decidedly up-the-rabbit-hole boarding school, Alice’s gray world shifts when she finds a secret garden and begins tending its wilting inhabitants. Fans of Alice will be delighted by the details and references to Carroll’s original text and will find new wonder in the illustrations and gold foil details in this charming tale. I love all things Alice, and Alice’s Magic Garden is no exception. This story takes place before Alice goes down the rabbit hole. She’s in a boring boarding school where nothing is happy or colorful. Everyone is mean. One day Alice discovers a magic garden where things aren’t only more colorful inside the garden; they also make Alice’s whole world more colorful and happier. This is a book that all Alice in Wonderland fans need in their lives. I love the illustrations that accompany the story. They bring life to the book, and even the youngest of fans can follow along by looking at the pictures.